Most precious metals futures closed lower Friday while all but silver, which finished at its worst level since early 2016, advanced on the week. Gold for December delivery shed $7.10, or 0.6%, to settle at $1,201.10 an ounce on the Comex division of the New York Mercantile Exchange. 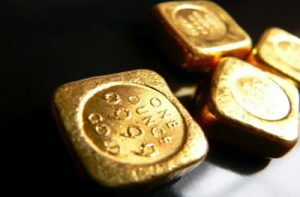 Gold declined Friday, opined some analysts, as reports indicated President Trump directed another round of tariffs for Chinese products. "I think that’s what’s driving gold lower, the dollar higher and the S&P market lower," Reuters quoted Michael Matousek, head trader at U.S. Global Investors. "Companies are theoretically going to make less money because they will get that tax." Gold edged up 70 cents this week, or less than 0.1%, following two consecutive weekly declines of 0.5%. Gold prices are 8.3% lower on the year to date. "Seventeen market professionals took part in the Wall Street survey. Ten respondents, or 59%, predicted higher prices. There was just one vote, or 6%, calling for lower prices, while six respondents, or 35%, were neutral or looked for a sideways market. Meanwhile, 485 people responded to an online poll. A total of 250 respondents, or 52%, called for gold to rise. Another 158, or 33%, predicted gold would fall. The remaining 77, or 16%, see a sideways market." Elsewhere, silver for December delivery fell 10.2 cents, or 0.7%, to close at $14.142 an ounce. The settlement is the lowest since Jan. 22, 2016 when prices ended at $14.057 an ounce. Silver futures dipped 0.2% this week, logging their third straight weekly decline. The precious metal has soured in recent months with thirteen weekly losses in the last fourteen weeks. Silver prices are 17.5% lower on the year. October platinum shed $4.70, or 0.6%, to $798.60 an ounce, but advanced 2.3% on the week. Palladium for December delivery rose $1.80, or 0.2%, to $970.50 an ounce, for a 0.2% weekly increase. Both are lower on the year so far with losses of 14.9% for platinum and 8.5% for palladium. Gold declined $7.85, or 0.7%, to 1,201.95 an ounce. Silver dipped a penny, or less than 0.1%, to $14.215 an ounce. Platinum fell $5, or 0.6%, to $805 an ounce. Palladium rose $5, or 0.5%, to $987 an ounce. In LBMA weekly results, prices advanced 0.3% for gold, 0.2% for silver, 3.7% for platinum, and 0.5% for palladium. United States Mint bullion sales were stunted this week with the world’s most popular bullion coin, the American Silver Eagle, unavailable. A CoinNews photo of a Cumberland Island quarter. 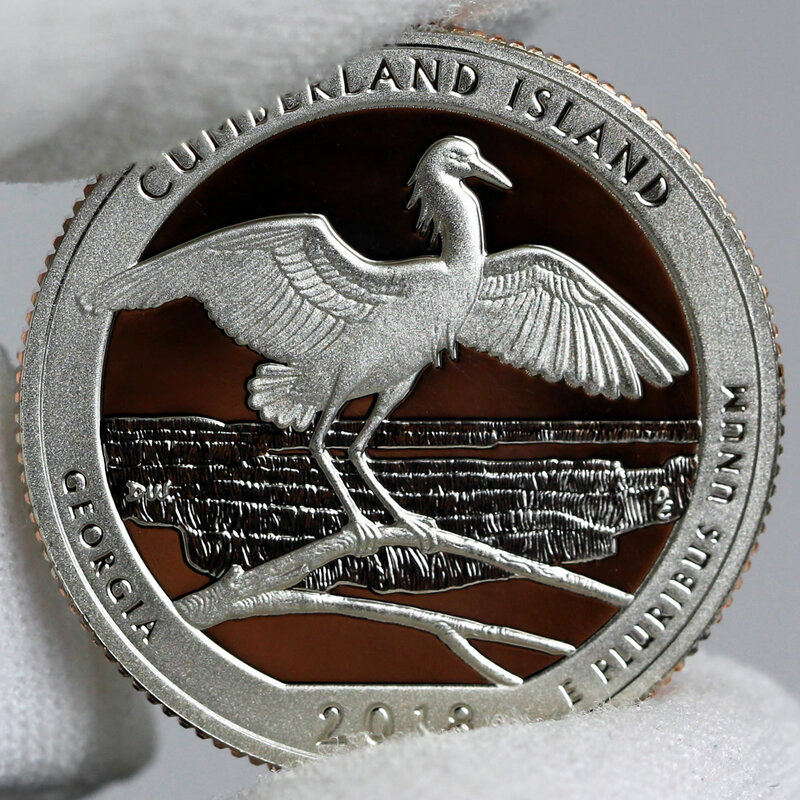 The U.S. Mint started accepting orders Sept. 10 for its 5-ounce Cumberland Island America the Beautiful Silver Bullion Coin. It shares the quarter’s designs. The U.S. Mint’s silver sales did rise, however, thanks to the release on Monday of the Cumberland Island 5-ounce America the Beautiful silver bullion coin. The coin depicts Cumberland Island National Seashore in Georgia — just like the companion quarter released in late August. The piece scored first-day sales of 26,000 coins; moved up Tuesday by another 20,000 to 46,000 coins; and then climbed on Friday by 5,000 for a first-week total of 51,000 coins. It is the biggest tally by design since the 2016 Harpers Ferry National Historical Park coin. As for gold coin sales this week, they increased by 4,500 ounces after surging by 17,000 ounces last week. This week, American Gold Eagles accounted for all the gains. Last week, splits included 10,500 ounces in American Gold Eagles and 6,500 ounces in American Gold Buffalos.